All stars are not created equal. When you look out into the night sky, you are seeing all sorts of unique and interesting objects. Some stars are small and cool (at least, compared to our Sun), and live for many billions of years. Others have evolved and inflated to enormous sizes- even over 1,000 times the size of our sun. There is a class of bright, blue stars called “Classical Be stars” that are between about 5 – 20 times more massive than the sun, and spin so quickly that they are nearly torn apart by the resulting centrifugal force. These stars also have disks that grow and shrink, appear and disappear. Classical Be stars are unique in astronomy, because their disks originate from the stars themselves. Material from the surface of the star is flung outward with so much speed (and angular momentum) that it is launched into orbit, and then settles into a disk in an event called an “outburst”. Lehigh physics professor Joshua Pepper and graduate student Jonathan Labadie-Bartz are studying these objects because there is still much that is unknown, especially regarding the physical mechanisms behind outbursts. 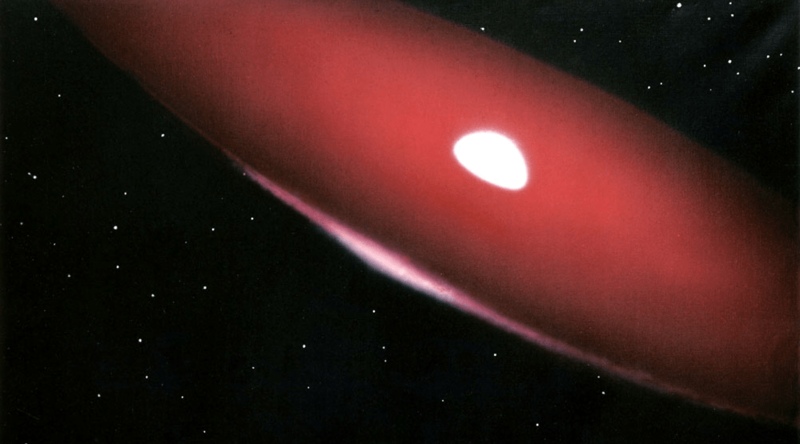 The header image shows an artist’s rendition of a Be star and its disk. Providing news you can use, celebrating Lehigh research in all its variety, and promoting exchange of ideas and perspectives.